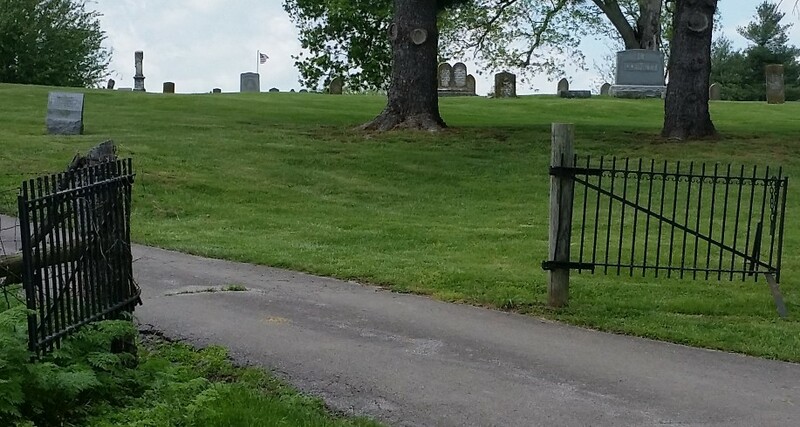 It is possibly the oldest cemetery in Kentucky still in use. 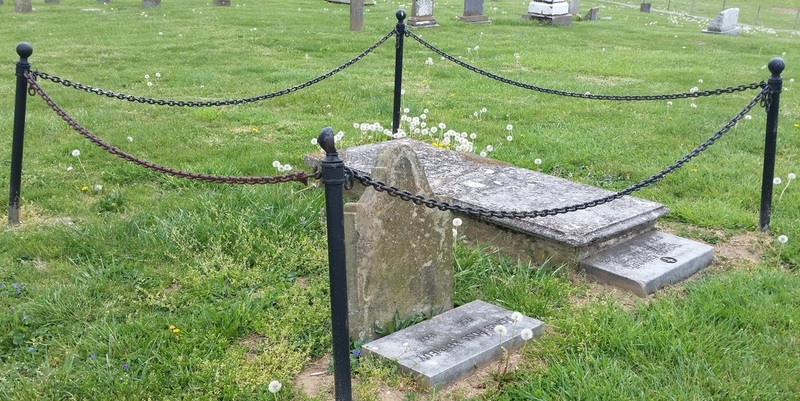 The oldest marked grave is John Provine or John Province who was one of the organizers and elders of the Old Paint Lick Presbyterian Church and died in 1792 when he was kicked by a horse at the age of 41. The cemetery may contain unmarked graves of those who died shortly after Fort Paint Lick was built in 1781 or possibly even earlier when Paint Lick was first settled by William Miller in 1776. One record shows that the cemetery was established in 1782 which is when construction began on the Old Paint Lick Presbyterian Church. That is 10 years before Kentucky became a state in 1792. Until that time, Kentucky was Fincastle County, Virginia. The cemetery was originally the church cemetery for the Old Paint Lick Presbyterian Church, known then as "The Log Meeting House" or "The Paint Lick Meeting House", that was once located where the Old Paint Lick Cemetery is today. The first 4 acres of land were donated by Pastor James Crawford and his wife, Rebecca, and construction on the church began in 1782. The original church also served as the community school. It had a cupulo where someone was stationed to lookout for Indian attacks when the building was in use. Model. Description: 1 rustic but well-constructed church model of Old Paint Lick Presbyterian Church (org. 1783). Approx. 16” H x 10” W x 14” D. Made of wood, dovetailed and filled to resemble plank construction, with shingle roof and clapboard. Church model lifts off its base to reveal 3 miniature pews and table. 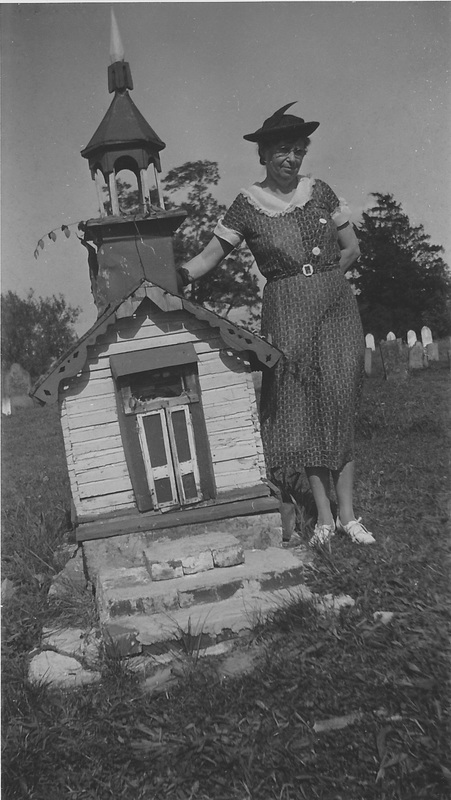 Gertie Wells at Paint Lick Cemetery Manse 1939 with replica of the old church built by "Uncle Doc" Hicks who was a caretaker of the cemetery. Photo courtesy of Gladys Nave. Jinney Adams (1791-1806) teenage granddaughter of William Miller who was killed by Thunder (Thunder was an Indian Chief). Brigadier General Thomas Kennedy Sr., later bought from James Crawford a tract of land that included the 4 acres that James Crawford had already given to the church. A lawsuit followed concerning the ownership of the land. Mr. Kennedy, who was a Baptist, made an offer of $200 towards replacing the church with a "free" church open to all denominations but the church refused the offer and withdrew from the lawsuit and relocated to the other side of highway 52 in 1830. Kennedy enjoyed buying and selling slaves and racehorses. At his death, he owned more than 100 slaves. Kennedy's tombstone has reportedly been struck by lightening three times. Douglas Prouty - "Madison Man"
Norman Kennedy Argo - locally well-known slave owned by Gen. Thomas Kennedy. Norman was known as "Little Norman" because he was only 3 feet 9 inches tall and less than 60 pounds. He was also known as "Uncle Norman"; "Uncle" and "Aunt" were used as titles of respect for black people at that time. Kennedy enjoyed trading in race horses and thought Norman would be the perfect jockey considering his size but his legs were too short to stay in the saddle. Norman had above-average intelligence and enjoyed greeting the trains that arrived at Paint Lick Station. After Kennedy died, Norman became a beloved servant of Robert and Margaret Argo until he was freed by the Civil War. Margaret Argo had inscribed "A FAITHFUL SERVANT" and "A TRUE FRIEND" on his tombstone and buried him on the east side of the hill which is traditionally the most desirable side. His tombstone is the one closest to the first entrance. Slave section - The north-facing side of the hill that the cemetery sits on was used to bury slaves in unmarked graves. The second entrance was the original entrance. 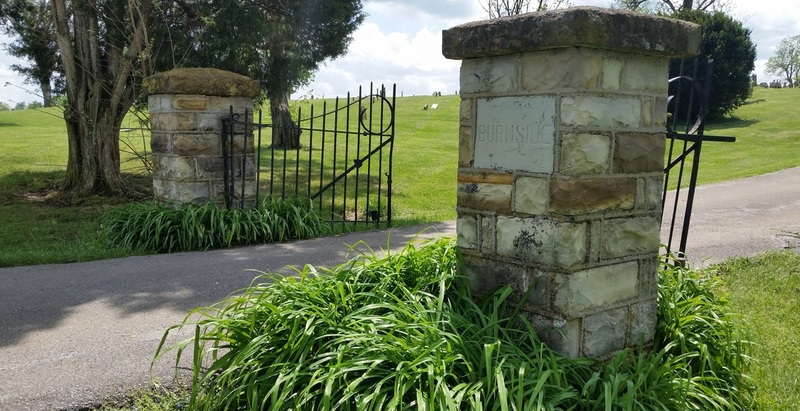 The first entrance was added in the late 1940's when the city of Lancaster removed the iron fence surrounding the garden at the town square and donated a portion of the fence for the cemetery gate. "Burnside" is engraved on one of the pillars but I have been unable to find out the reason. Then 0.46 acres was purchased in June 1920. Then one acre was purchased in June 1941. The cemetery is now 10.78 acres.